An undergraduate degree is just the beginning of the adventure that comes with life after uni. 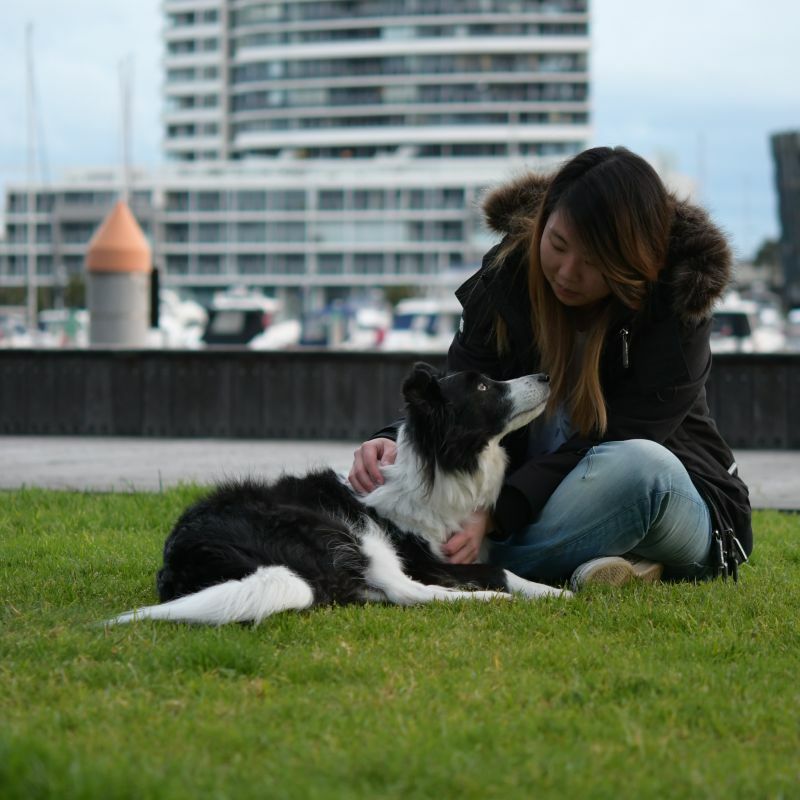 For Bachelor of Commerce (BCom) alumna Joey Yap, her graduation marked the beginning of a journey that saw her travel overseas, become a small business owner, a television producer, and now the founder of Sniffr, a startup for all things dogs. It seems, upon looking back, that Joey Yap has done loads, and at a glance, has had numerous opportunities. However, she is the first to tell you that they weren't gifts falling from the heavens above, and that it has taken her sense of curiosity, adventure, and a respect for human connections to achieve her various goals. At 20 years old, Joey Yap had finished her BCom, loaded up her backpack, and flew to Japan with her then business partner, where they negotiated successfully to bring the Ajisen Ramen franchise to Australia, making Joey one of the first people to bring ramen to Melbourne, in 2004. Five years later she sold out of the ramen business, hailed by the siren song of a dial-up modem and a childhood passion that hadn’t gone away. Yet, she chose to study the BCom rather than pursue multimedia, because she always knew that it was an entrepreneurial drive that she was really wanting to feed. This fascination with multimedia stayed with her, though, and continued to stick with her, eventually leading her to navigate the eventual sale of her first business, to set the course for the next stage of her life. After her stint with the food and beverage industry, Joey decided to study Film and Media. The combination of disciplines, she says, is one of the reasons she can succeed in today's world. It was through this decision that Joey began bringing together the threads of experience she had lain out through her career so far, her interest in the internet, her business savvy, her skills in multimedia, and of course, a love of dogs. It was this moment that inspired Sniffr, an online platform connecting dog owners with local canine businesses and service providers, consolidating information and recommendations, whilst providing valuable discounts and offers through Sniffr’s membership program – the ‘Entertainment Book’ (if you will) for dog lovers. Joey is now working on the next stage of her professional development, which she says is crucial to everyone, no matter how early or advanced into their careers they are: the value of like-minded connections. Joey admits that she has always been shy about networking, but knew that it was something she needed to do. Ultimately, an opportunity arose when she reconnected with the Faculty of Business and Economics alumni program over the course of her time developing Sniffr. The annual Business and Economics Alumni Women’s Lunch came up and she registered to attend. Her initiative paid off. In short, Joey's recipe for success is combining a sense of adventure, a willingness to learn, and leveraging the networks available.